Huawei Consumer Business Group (BG) South Africa proudly announced today the official opening of the first two Huawei customer service centres in Johannesburg and Cape Town. The service centres are open to customers and will provide the finest service satisfaction under one roof. Customers can look forward to dedicated services such as training sessions, onsite device repairs, free device engraving and an extensive range of accessories to choose from. 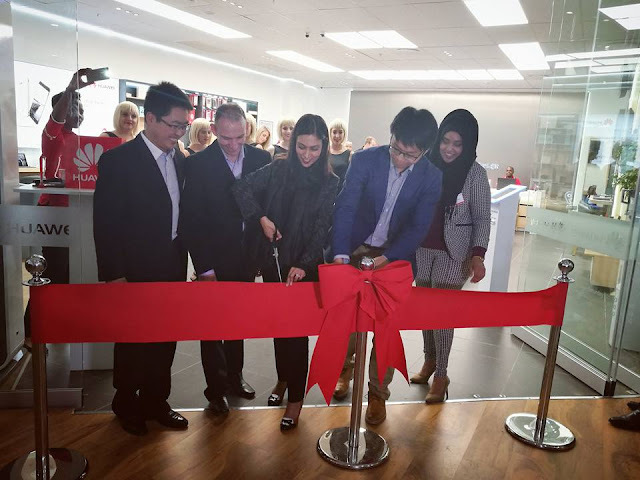 According to Charlene Munilall, GM of Huawei Consumer Business Group SA, Huawei has a wide of range of products and services that are not always available to customers and with the store opening this will enable more customers to have a hands-on experience with all products. “As an innovative brand, Huawei intends to create an interactive space where every customer is important and will be treated as such by our in-store tech heroes. We understand that consumers seek holistic experiences to fit their lifestyles and our service stores succeed in providing this”, says Munilall. The service centers are situated in Melrose Arch in Johannesburg and in Canal Walk in Cape Town. These stores have been designed to integrate technology, service, and repair in a seamless fashion to give customers the convenience they desire from an all-in-one experience hub. Both stores will allow consumers to have the best possible service and experience with free WIFI. These offerings are targeted specifically for high end products as Huawei believes that a premium brand and premium service is inseparable. The service store is allowing South African consumers to experience the brand in a way they never have before. “We are placing the customer at the centre of integrating technology, service and lifestyle in an interactive environment. We believe the Huawei customer demands more from technology and with these service centres we intend to close the loop”, concludes Munilall. Huawei’s products and services are available in more than 170 countries, and are used by a third of the world’s population, ranking third in the world in mobile phone shipments in 2014. Sixteen R&D centers have been set up in the United States, Germany, Sweden, Russia, India and China. Huawei Consumer BG is one of Huawei’s three business units and covers smartphones, mobile broadband devices, home devices and cloud services. Huawei’s global network is built on 20 years of expertise in the telecom industry and is dedicated to delivering the latest technological advances to consumers around the world.